Green House Seeds presents King's Kush Automatic, an autoflowering OG Kush hybrid known for its intense and long lasting body effect. Thanks to the cannabis Ruderalis genetics, the renowned King's Kush variety is now available in autoflowering form. It is ready to harvest 9 weeks from seedling, flowering during 7 weeks. Its structure is compact, with few leaves, not growing more than 90cm in height and yielding around 70-80gr/plant outdoors, up to 600gr/m2 in indoor growing spaces. 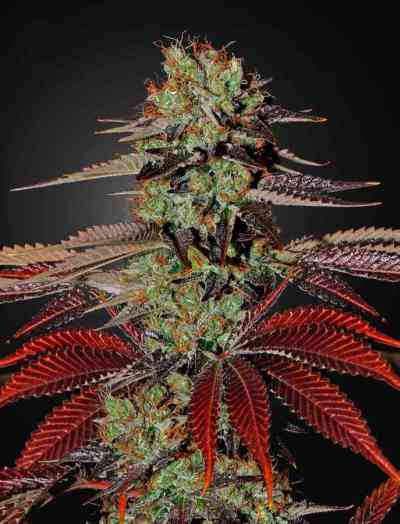 The effect is typical of the OG Kush, body relaxing and long lasting. King's Kush Automaticflowering can be grown at any time of the year as long as temperatures remain above 10ºC. Indoors it performs well with 12 or 18 hours of light per day.